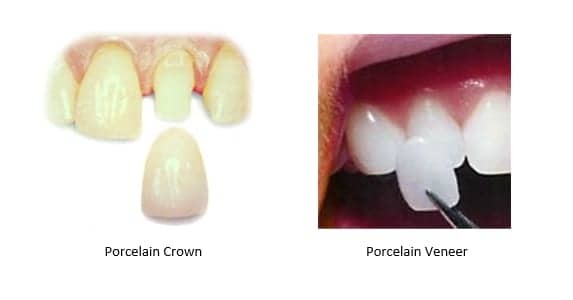 Can a Cosmetic Dentist Match One Crown? I had crowns done many years ago on all my teeth. One of them felt loose last week so I scheduled an appointment with a new cosmetic dentist. He told me the crown needed to be replaced. That didn’t surprise me given its age. What did surprise me was he said I’d need to replace all of them in order for them to match. I was shocked to think he couldn’t just match the crown to the rest of them. Will I truly need to replace all of them? A true cosmetic dentist can match anything. There are cosmetic dentists and then there are cosmetic dentists. Confused yet? Because there isn’t a recognized specialty in cosmetic dentistry, any dentist can call themselves a cosmetic dentist. That doesn’t mean they’re actually skilled and artistic. A truly skilled dentist could match a single crown or a single porcelain veneer to the rest of your smile. They wouldn’t have to place them on all your teeth in order to get a uniform smile. You can have just this one porcelain crown replaced. However, you will not be able to replace it with this particular dentist. As I see it, you have two choices. Your first option is to stay with this dentist and replace every crown. They’re aging and will eventually need replacing anyway. It may be easier for you just to do them all at once instead of having to schedule two appointments every time one of them fails. However, if that’s not what you desire, you have another option. Instead, if you’re still happy with the appearance of the remaining crowns, you can just replace that one. The only downside to that is, as I said above, you’ll need to find a better cosmetic dentist for that to work. There is a cosmetic dentistry website which screens cosmetic dentists who wish to be listed on the site to see if they’re skilled and artistic enough to create a stunning smile for their patients. They do this by having the dentist provide a list of their post-doctoral training in cosmetic work, as well as having them provide a large sampling of cases they’ve personally done, in order to verify their artistic skill. Any dentist on their list will be skilled enough to offer you a single crown or a total smile makeover. Either will be stunning. Can you help me understand why some cosmetic dentists swear by Lumineers and others think they’re the worst? There is a wide variation of abilities among cosmetic dentists. Some are just after functionality, while others want their work to be aesthetically beautiful as well. When it comes to things like getting a smile makeover, you definitely want to end up with the latter dentist. The “controversy” over Lumineers is because of that wide variety you get with cosmetic dentists. Generally, the better the cosmetic dentist, the less keen they are on the Lumineers brand. It’s heavily marketed to inexperienced cosmetic dentists as being easy to place. The reason for that is they say it doesn’t require any tooth preparation. The big problem with that is very few smiles look natural without the tooth preparation, even with ultra-thin veneers like Lumineers. Instead, the teeth look bulky. Another issue many artistic dentists have with this particular brand is the lab. The company that manufactures Lumineers, requires dentists to use their lab, which isn’t known for being highly skilled and artistic. Instead, most cosmetic dentists have a specific lab they prefer to work with which they know will produce the quality of results they’re looking for. Now, a dentist developing his cosmetic skills may think, “Man this is the best. I can work on veneers without worrying about proper tooth prep.” But, You don’t really want a dentist practicing on you with a permanent procedure…or, maybe you do. I shouldn’t assume. Let’s say you’re ready for a brilliant smile makeover. You want improved teeth that look natural. I’ve put a case that Dr. Newkirk did directly above. These teeth aren’t just beautiful, they look like they could be her natural teeth and she’s blessed with a stunning smile. That requires a significant amount of technical skill along with an artistic eye. Those are traits you can’t determine just because someone has a dental degree on their wall. So, how is a patient able to tell if they are going to a skilled cosmetic dentist or someone who’s not so skilled. What brand they use isn’t the tell all you’d think. For instance, just because they don’t like Lumineers doesn’t mean they’re able to get any better results out of another brand of porcelain veneers. 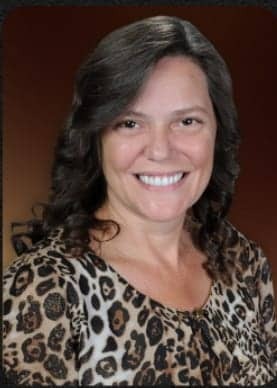 In your place, if you’re looking to get a smile makeover, I’d suggest looking on the mynewsmile.com website. You can do a search for an expert cosmetic dentist within a certain mile radius of your zip code. When a cosmetic dentist wants to be listed on their site, they check their cosmetic training, technical skill, and artistry. A dentist can’t simply purchase their way onto the site. Instead, they have to demonstrate that they know what they’re doing and do it well. You’ll get a smile you can be proud of with one of their recommended dentists. One month ago, I went to a cosmetic dentist fir a snuke makeover. The dentist completed 12 lower crowns and 6 veneers on the front upper teeth. I’ve been in pain ever since and generally can’t even chew. My dentist she said to take ibuprofen for a few weeks because so much work was done in such a short amount of time. Also one of the teeth that hurts does not touch any of the top teeth when I clench. I’m concerned that I’m having to take so much ibuprofen. I take 800mg of Ibuprofen every 4-6 hrs. I’m concerned about your being in pain for so long and how much ibuprofen you’re taking. This obviously wasn’t the best dentist for this procedure. I can’t believe the dentist told you to take ibuprofen for so long. That much ibuprofen over that period of time can damage your organs. You are taking 3200 to 4000 milligrams a day. I think the maximum recommended dose is about 2400 mg per day over short periods. Also, something isn’t right. You shouldn’t still be in pain this far out. the most that should happen is some tenderness for a few days. Another big concern is the fact that your teeth aren’t touching evenly. This can lead to serious problems. My suggestion is getting a second opinion. Preferrably someone with cosmetic expertise. Go to the mynewsmile.com website and see who their recommended dentists are for your area. You’ll be safe with one of their dentists. I highly doubt your current dentist is on the list. Filed Under: Cosmetic Dentist Tagged With: best Naperville dentist, Naperville Cosmetic Dentist, pain from a smile makeover. How do I get a movie star smile? Celebrities have such perfect teeth. How do they get them? Is it just teeth whitening? While some celebrities might be able to get those perfect teeth with just teeth whitening, that is not very common. You would have to have perfect teeth, with just some staining for that to work. Instead many celebrities, including such big names as Brad Pitt and Tom Cruise get porcelain veneers. The advantage to them is they are able to remake your entire smile: including the shape, size, and color of their teeth. However, the key to this is what type of cosmetic dentist you get. Any general dentist can call themselves a cosmetic dentist because there is no recognized specialty in cosmetic dentistry. Therefore, you have to be very careful about who you get to do your smile makeover. You need to find someone with extensive post-graduate training in cosmetic dentistry. It is hard for patients to find out the information they need to know if someone is qualified and artistic. One of the easiest ways is to go to the mynewsmile.com website. They recommend highly trained and artistic cosmetic dentists from each state. You cannot pay to be listed. Instead, you have to demonstrate your techical expertise as well as show that you are artistic in the smiles you design.